Australian Terrier – Is It the Right Dog for You? WE POSTED A NEW GIVEAWAY YESTERDAY! YOU CAN TWEET DAILY FOR A CHANCE TO WIN RABBIT JERKY! Y’all, I met a dog, this weekend, which was new to me. 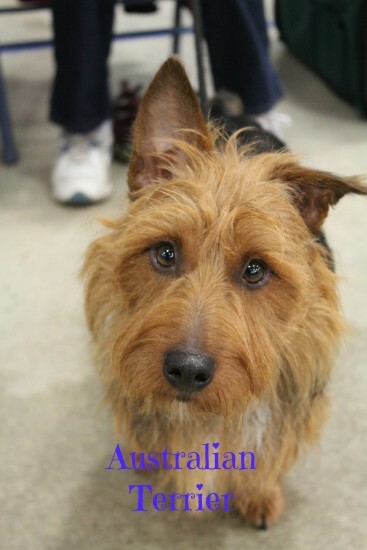 The Australian Terrier was competing at Rally in Broken Arrow, OK. What a handsome little dog! Say hello to an Australian Terrier. The Australian Terrier sounds to me like the perfect dog. And what, really, is the perfect dog? People get dogs for different reasons. If you’re looking for a watch dog, this breed may be for you. A dog for working livestock? Maybe so. But a pet? Let’s take a look. Would an Australian Terrier Make a Good Pet? Are we an active family? If you’re single and young, or single and older, as well as active, this might be your perfect dog. They need plenty of activity. They handle apartment living fine, but need long daily walks. Plenty of activity. Terriers need a job to do. They need to be learning and training always. Terriers need to run and chase. Is there a dog park near me that’s open daily, or do I have a large fenced yard or country land? Terriers need to run and chase. They need to be active. Every day. Am I willing and dedicated to proper training of an Australian Terrier? Because this is a terrier and a small dog, as friendly and patient as an Australian Terrier can be with children, they can also be snappy with kids if they lack training and patience from the owner. These cute dogs have a mind of their own and want to rule the roost. Well, I don’t actually think that they do. I think they just need to know you’re the top dog. Patience and training go a long way. Do we really want a small dog? Some people just aren’t about small dogs. That’s okay. I want you to be equipped to make the right decision, since a dog is for life. As cute as small dogs can be for some people, they slip through gates easier, dart out doors faster, get underfoot more often, but also jump into laps and snuggle perfectly. I can’t imagine a whole lot of snuggling with this breed, as active as it is, but you’ll definitely get some. Do I want a dog which might be smarter than I am? This is a terrier. Terriers are brilliant dogs. I swear, you look into their face and can see the gears of their brains turning. They’re always up to something. In fact, I’m pretty sure mischief is their middle name. This is why they have to be worn out EVERY DAY. Much like small children. 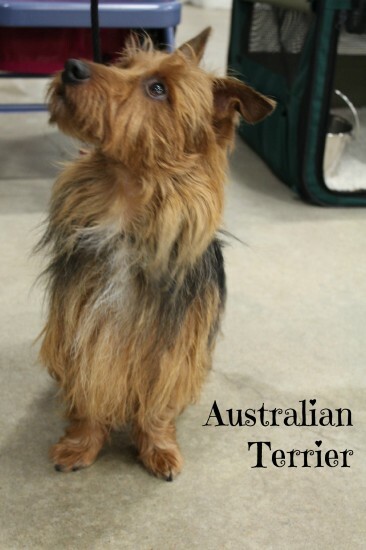 All things said, the Australian Terrier could be the perfect dog for someone who is active and single, looking for a companion dog they can play and hike with, or just to train and work shows with. This breed would also be great for a family with young kids, a family who is willing to work patiently with the dog, but wants a great companion for the children, as well as a watch dog. Finally, it would rock as a working dog, but I’m guessing it would chase chickens to no end. Gosh, y’all. If you like small dogs and are active, as well as looking for a companion and are willing to work with a dog to train, the Australian Terrier could very well be the perfect dog. So I find myself asking the most important question – which Jones Natural Chews would I keep on hand for an Australian Terrier and why? Now! Enter our giveaway. Then give your dog a Jones Natural Chew and watch it smile. Naturally.